Manifestation: A giant snake with enormous fiery eyes that crawls over the open fields at night. Sometimes described as a giant fire snake. Boitatá is a mythological serpent from Brazilian mythology, legend and folklore. It is the Brazilian equivalent of the will-o’-the-wisp. The name comes from the Old Tupi language and means “fiery serpent” (mboî tatá). Its great fiery eyes leave it almost blind by day, but by night, it can see everything. The Boitatá is a good entity, but it may kill anything which is violating the forests. Their diet consists of eyes from dead animals or its victims. 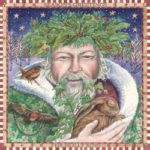 According to the legend, there was once a long period of darkness when the sun did not shine and a deluge flooded the earth. These conditions killed many animals and forced the beasts to flee their natural habitat. 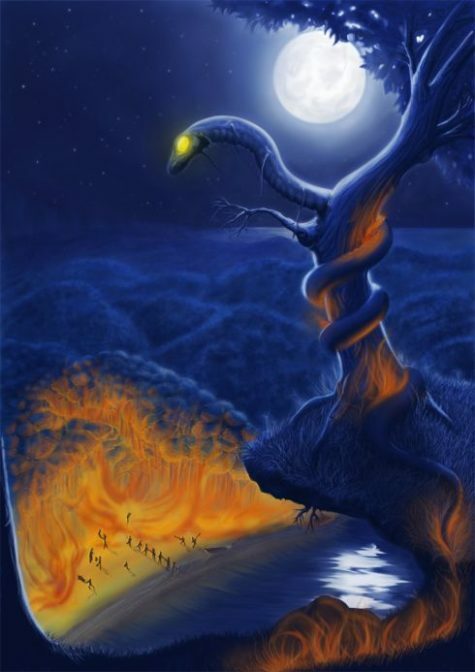 A “boiguaçu” (a cave anaconda) left its cave after the deluge and, in the dark, went through the fields preying on the animals and corpses, eating exclusively its favorite morsel, the eyes of the dead, which shone brightly in the darkness and made for tasty delicacies. As the snake ate more and more of these delicious, shiny eyes, its body began to shine. The collected light from the eaten eyes gave “Boitatá” its fiery gaze, but the eyes-only diet steadily weakened it, and it perished… in a blaze of glory. For, upon its death, all the light collected inside it escaped to the sun, and the dark days were finally over. There must have been some magic in all those eyeballs, because the boitatá lived on in spirit. It inhabits the Amazon jungles to this day, often appearing at night as nothing but two glowing, fiery eyes. Some say it can breathe fire as well, an ability it uses to incinerate people who harm the rainforest by chopping trees down or starting fires. Others say it can actually disguise itself as a tree trunk, then roast alive any lumberjack who comes to cut it down. It is also said that it will blind you and make you insane if you gaze into its eyes. There are other versions of the legend that describe the boitatá as a giant, fiery bull who hunts the hunters, and yet others that associate it with almas penadas – souls that are cursed for various reasons, from immorality to dealing dishonestly with the devil. Many descriptions of the boitatá legend connect it with ignis fatuus, or that fiery phenomenon known as the will-o’-the-wisp. 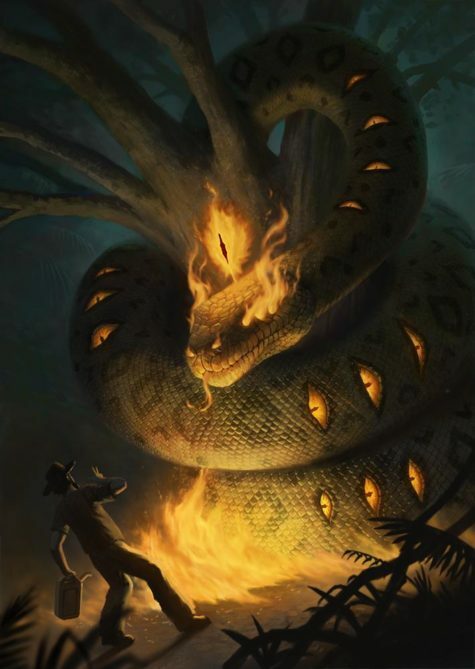 There is some overlap between the legends of the boitatá and the boiúna, an evil black snake that is said to take a variety of forms, attack and devour people, and use its flaming eyes to lead boats to their ruin.